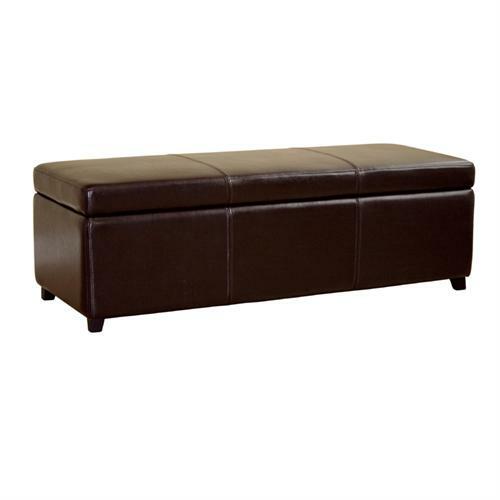 More on the Wholesale Interiors Bicast Leather Storage Ottoman (Brown) Y-161-J001-DARK BROWN below. 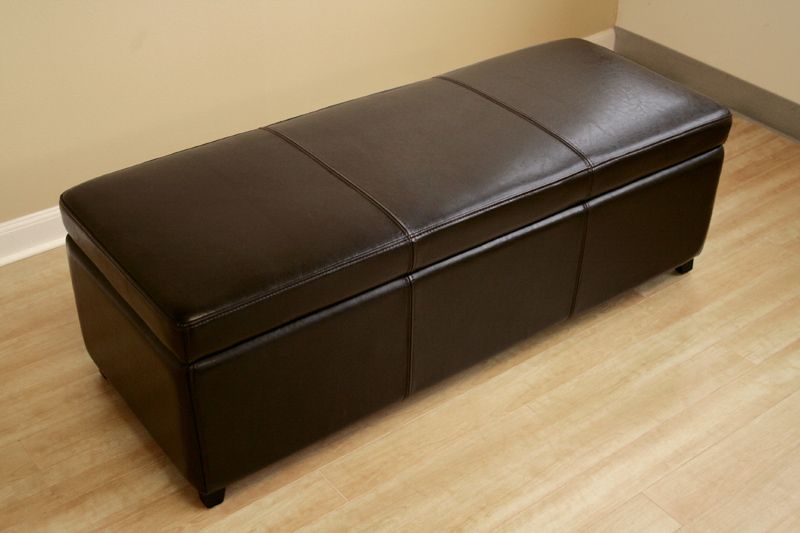 Versatile and affordable  this leather ottoman can be placed anywhere and used for just about anything. 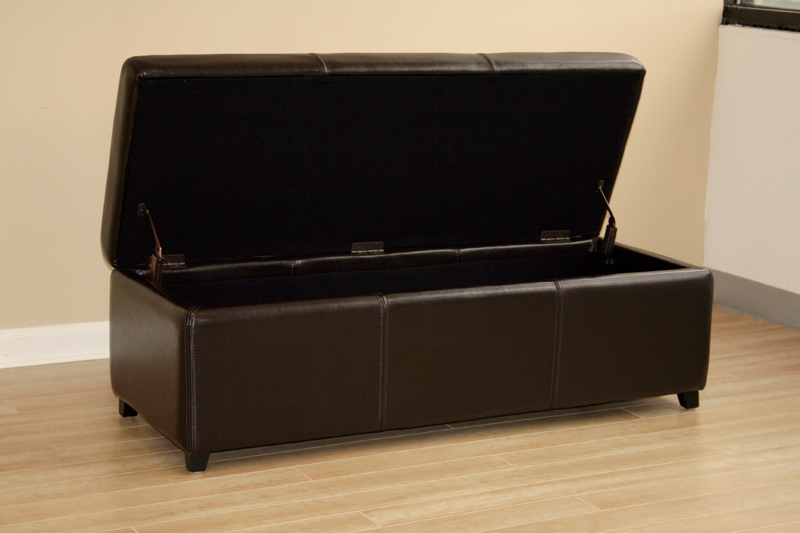 From a foot rest to additional storage, the rich look of the shiny leather will enhance your interior. Leather storage ottoman crafted of a kiln-dried hardwood frame. Lift-top lid with child safe hinges. Simple and functional design with interior storage space. Durable panel-stitched and button-tufted design.